and added the little hangers. I also added a gem to Rudolph’s nose. They work perfectly fine as ornaments, I think, but I also think they could easily be turned into an advent calendar of sorts. The problem is, you really don’t want to have to print a huge number of the same sheet to get what you would need. My thought was to make a 7-day (or possibly 10-day) countdown. 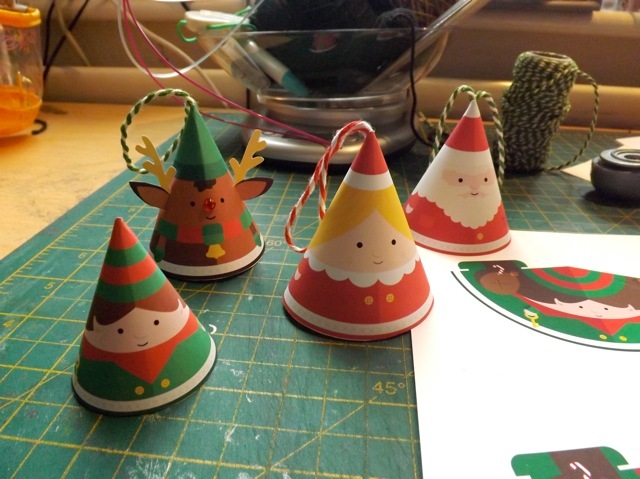 A short one has a few advantages, the biggest being if you aren’t organized enough to make a 25 day countdown or advent calendar before 1st December, you can still make one of these! But another is these are easy enough you could print them, let the kids get involved with the cut and fold part (if you make the slit for the tab) and keep them busy for a bit. 2. Using the TOOL menu and the SELECT tool, draw a selection around JUST the elf – see on the left? 3. Click CROP and make sure if the option to automatically resize is there it is toggled OFF. Once you have something that looks like the smaller left image BE SURE TO SAVE AS a new filename. If you SAVE it will overwrite the original PDF and you’ll have to go back and download it again. 4. 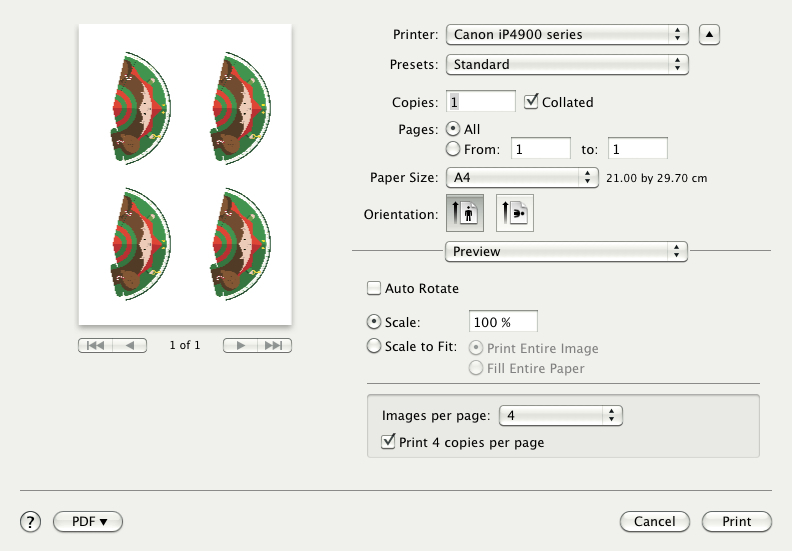 You can print this 4 times by using your printer dialog box. I did try to see if 6 on a sheet would work and it’s just that little bit too big. If you are happy to resize them ever so slightly smaller you can and get more on a page! Also worth noting (again!) is the difference between the HIGH quality print (the 4X one) and the original that I printed in standard quality, plain paper. You know by now this obsesses me too…. But I hope you can see they are the same size. 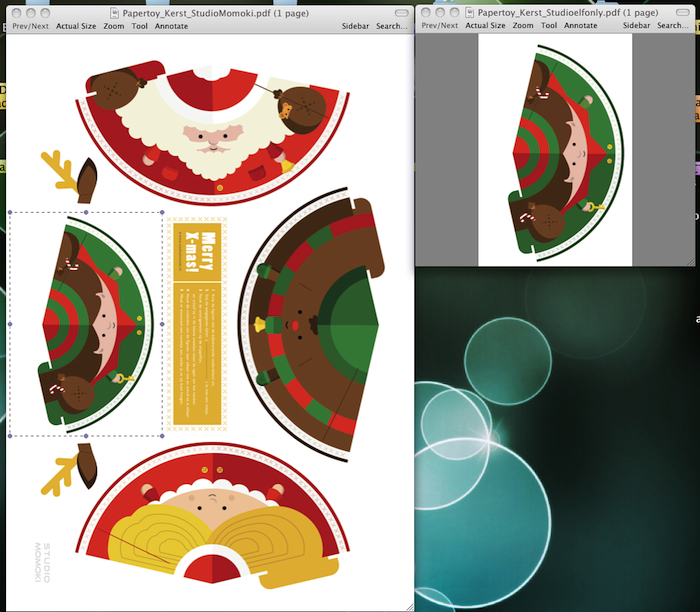 I have an idea for the countdown/advent calendar aspect that I need to try but need to carve out some time to do it. When I have I’ll share! 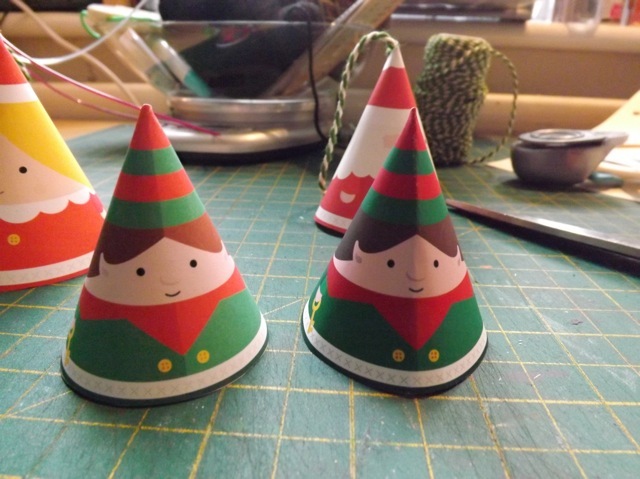 In the meantime you might find other fun things at the link that will keep you busy….